Deposit Rs 100 by PayTM on 7988828860 in favour of Vasudev Publication. 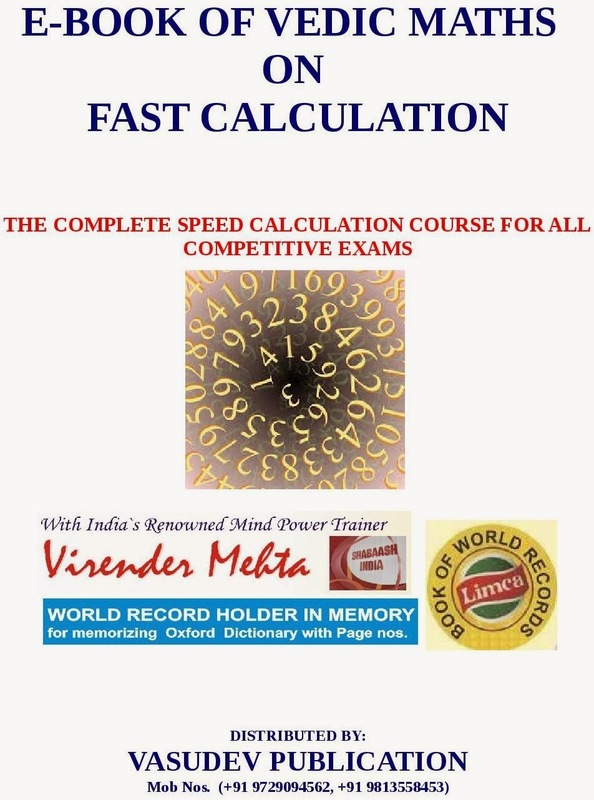 This E-Book contains vedic memory methods to speed up maths calculation especially for aspirants of competitive exams. We have a very rich heritage of our ancient mathematicians who discovered numerous easy methods to do any degree of complex calculation. 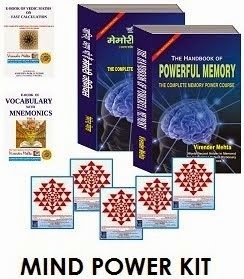 In this E-Book, the methods described are based upon Vedic Ganit which was rediscovered from ancient Sanskrit texts earlier this century by Bharti Krishan Tirthaji Maharaj. 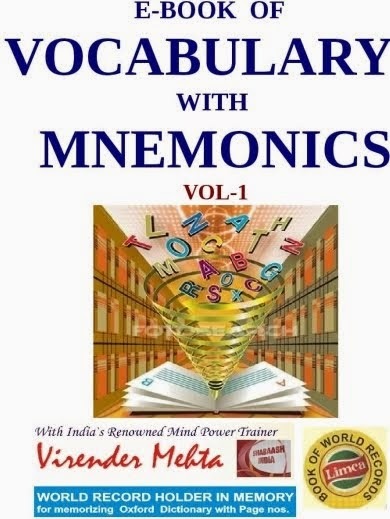 This is the E-Book designed by Virender Mehta due to recieving numerous request mails to explain some short cut methods used in competitive mathematics, he is sharing this important E-Book with the readers. The methods described in this E-Book are extremely beneficial for the aspirants of all competitive exams. He takes delight in working out huge problems mentally-sometimes even faster than electronic gadgets like calculators or computers. These methods are also useful for our daily life to calculate anything like numbers, calculations, bills, interest or any kind of transaction. The reader for sure would enter into the world of enchantment for maths with our author Virender Mehta. These vedic methods sharps the memory and increase the mental agility. These methods enhance the precision of our thought power and observation skills. Our short term and long term memory both are activated by these mental methods. These methods boost our self confidence. With these methods, we can solve long multiplications and divisions in a single line. We can enhance our innovation capabilities by using these methods. These vedic methods offer a very different approach to mathematics, that is both powerful and fun. 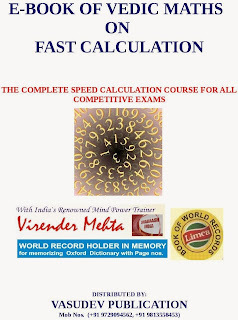 If you practice these vedic methods regularly, then you can save your time and energy during competitive exams where time management is the success mantra. 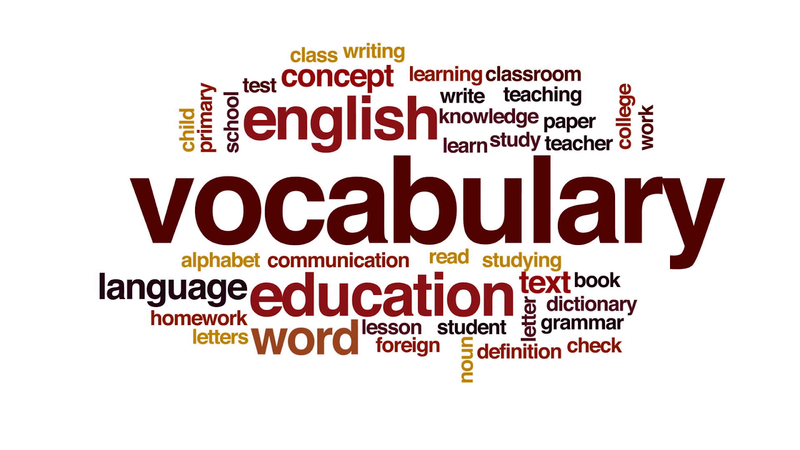 Practice session has been provided at the end of every topic. Every effort has been put to encourage mental activity. 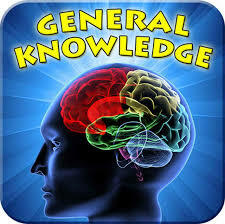 BENEFICIAL FOR ALL COMPETITIVE EXAMS GRE, CAT, MAT, BANKS, CIVIL SERVICE, CORPORATE ETC.